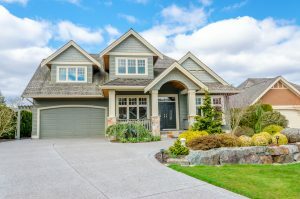 For a professional garage door installation that will help you significantly improve the curb appeal of your home in the Raleigh area of North Carolina, turn to the experts at 31-W Insulation. We have been serving the home improvement needs of homeowners throughout the Southeast since 1972, so you can trust us for our decades of industry experience. Plus, since we only have our own employees handle each project rather than hiring subcontractors, we can assure you that your new door will be installed with precision, efficiency, and courteous customer service. Additionally, our garage doors include a full suite of safety features, such as low-profile hinges, tamper-resistant bottom brackets, and a pinch-resistant door segment design. With these features, you can trust that your new garage door will present minimal risk of injury to you and your family during regular door operation. If you’re interested in learning more about the garage door installation services we offer to residents of Raleigh, NC, contact 31-W Insulation today.